Ang Lee, who was nominated for European Film Awards Screen International Award For a Non-European Film for Wo hu cang long (Crouching Tiger, Hidden Dragon)(2000) and Brokeback Mountain (2005) here talks with James Drew about pushing emotional boundaries for art in his challenging Se, jie (Lust, Caution) (2007), which courted controversy with its graphic depiction of a forbidden affair in 1942 Japanese-occupied Shanghai. The battle-lines are clearly drawn in World War II Japanese-occupied Shanghai – and young Chinese woman Wong Chia Chi (a startling performance from Wei Tang) is still undercover behind them. Her involvement with a group of drama-society students some years previously has led to her involvement in an ambitious plan to assassinate a top Japanese collaborator, Mr. Yee (Tony Leung Chiu Wai) whose trust she has gained by posing as Mrs Mak, befriending his wife (Joan Chen) and then drawing him into an affair. 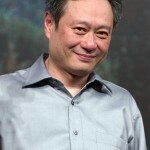 Taiwanese director Ang Lee, 53, is no stranger to depicting the chains forged by emotion – his previous film, Brokeback Mountain (2005), had won him an Academy Award for Best Director, with its portrayal of two 1960s cowboys, torn by their love for each other that dared not speak its name. Lee has quickly established himself as one of the world’s best directors – his back-catalogue includes The Ice Storm (1997), but it was his Wo hu cang long (Crouching Tiger, Hidden Dragon) (2000) that is still considered as one of his greatest works, a sprawling period film and martial-arts epic that, not unlike Lust, Caution deals with love, loyalty and loss. Lee seems attracted to self-destructive characters trying to escape the confines of a given society or mental state, be it latent homosexuals in Brokeback Mountain or even an obsessive scientist in Hulk (2003). Why? “I think for my next film, I’m going to try and break away from that pattern, but, yes, I’ve been using that since my first movie. I believe it reflects my own life – I’m a Libra, so always looking for what I think is absolutely the right thing to do, or maybe it’s because I’m a scared fellow. I have a tendency to want to please and confirm people, but maybe I have a tendency inside to go against that…I don’t know. We have no doubt that he will - Ang is currently hard at work on bringing Yann Martel's Man Booker Prize winner Life of Pi to the screen, which is due for release in 2011. Originally published in Together Magazine.